Are there any books about dinosaur expeditions and paleontologists? Colbert, Edwin H. The Great Dinosaur Hunters and Their Discoveries. Reprint. New York: Dover Publications, 1984. Includes chapters on first discoveries, skeletons in the earth, two evolutionary streams, the oldest dinosaurs, Jurassic giants of the western world, Canadian dinosaurs, and Asiatic dinosaurs. Doescher, Rex A., ed. Directory of Paleontologists of the World, 5th ed. Lawrence, Kansas: International Palaeontological Association, 1989. 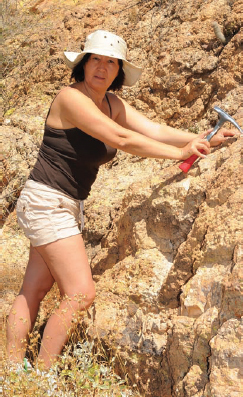 Lists more than 7,000 paleontologists by name, office address, area of specialization or interest, and affiliation. Horner, John R. Dinosaurs under the Big Sky. Missoula, MT: Mountain Press Publishing, 2003. World-famous paleontologist John Horner’s book about his knowledge of Montana’s dinosaurs and geology. Novacek, Michael. Dinosaurs of the Flaming Cliffs. Illustrated by Ed Heck. New York: Anchor Books/Doubleday, 1996. Chronicles the groundbreaking discoveries made by one of the largest dinosaur expeditions of the late twentieth century. Psihoyos, Louie, and John Knoebber. Hunting Dinosaurs. New York: Random House, 1994. This book recounts the experiences of paleontologists who have scoured remote lands in search of dinosaur fossils, with full-color photos, charts, and maps. There are numerous resources available for the amateur paleontologist to learn about discovering his or her own fossils, as well as university and other programs that train people to assist on digs without needing an advanced degree (Big Stock Photo).